A gravestone on the site of a mudslide in the village of Ayuu. The Sulaimanov family say they are staying put. It took a lot of work to make the money needed to build their farmstead in Ayuu, a village set in a narrow valley in southern Kyrgyzstan. Officials are exasperated. In late April 2017, a mudslide swept over a group of houses in Ayuu, destroying everything in its wake and killing 24 people. For years the authorities had pleaded with residents to relocate, but to no avail. The Sulaimanovs are far from alone. 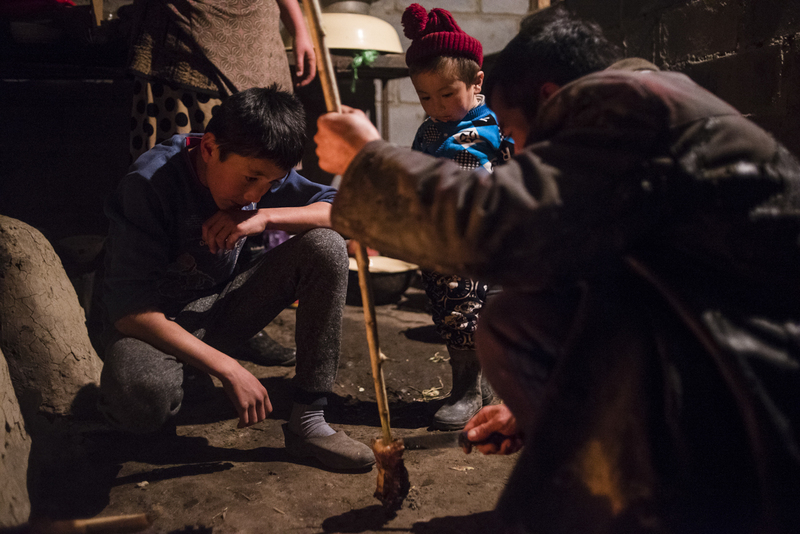 Even after calamity struck Ayuu, many families in Kyrgyzstan’s landslide-prone areas will not move. The cash-strapped government’s incentives are meager and in a nation where joblessness abounds, any kind of work – even if it is under the ever-present shadow of fatal danger – is often accepted with fatalism. Four members of the Sulaimanov family – the brothers Azat, Arslan and Kahramon, and their cousin Siradjidin – were in Moscow, where they were working at the time, when they received the grim news. “When they called we were very afraid. 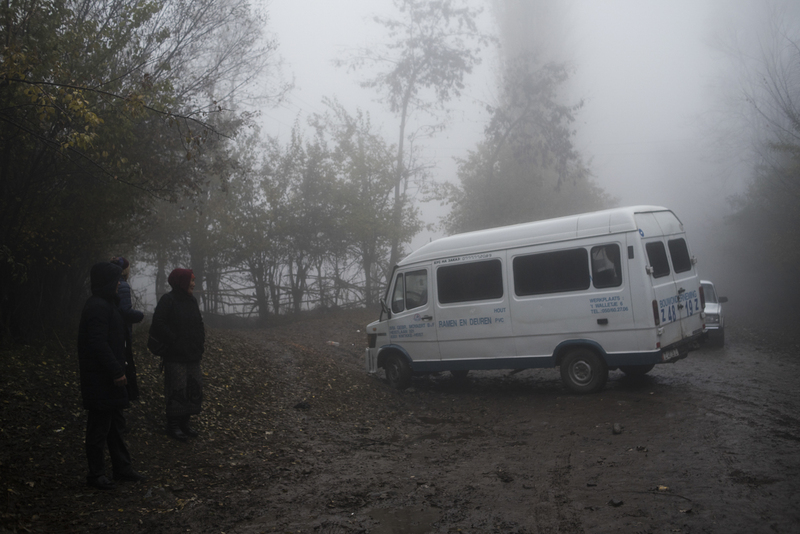 But the landslide had happened in another place,” Siradjidin said. Living in this vulnerable location feels like a gamble. Ayuu is a village but is far from compact and is instead made up of a string of homesteads beaded along a long and unpaved road. 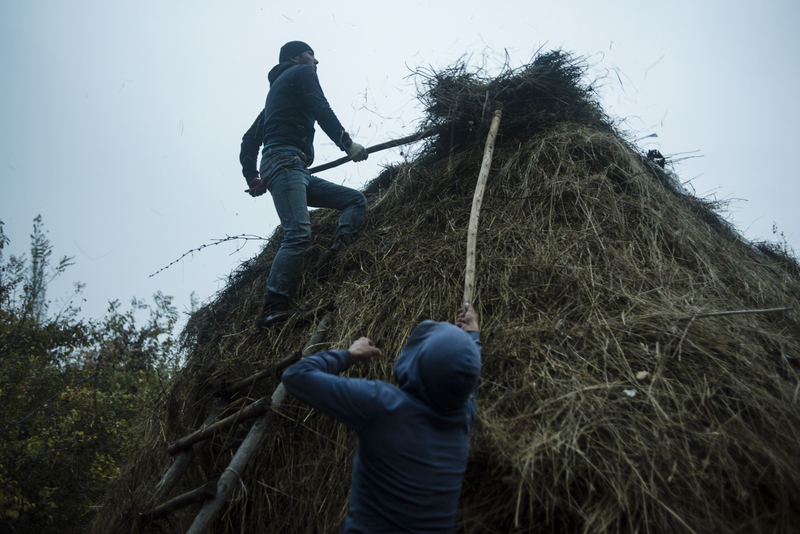 Almost all families grow some crops – the Sulaimanovs have an impressive yield of hay this year. 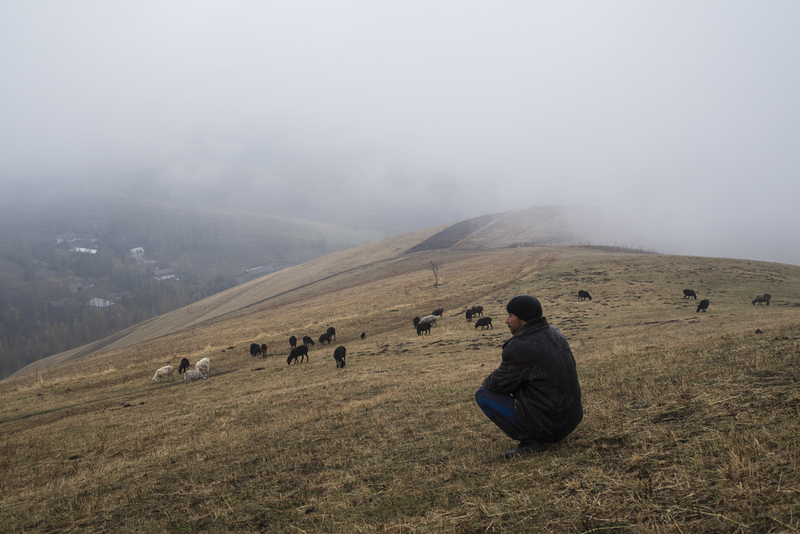 Cows, sheep and goats are led up the woodless steep hills that rise up on either side. 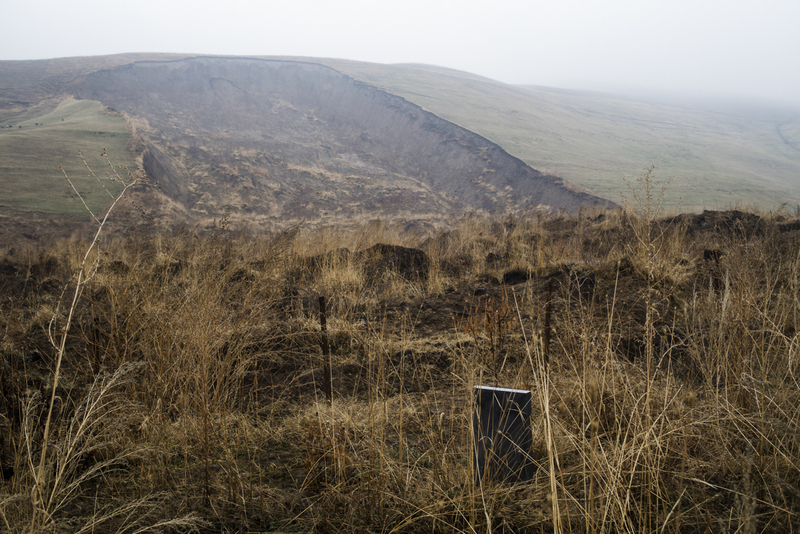 When hundreds of tons of spring rain-softened soil collapsed on April 29 last year, it hit just one section, many minutes from where the Sulaimanov family lives. Siradjidin is scornful of the warnings of the authorities, insisting that the slope near them is not so steep as to be dangerous. To the naked eye, the inclination looks no sharper than where 16 bodies still lie unfound. Nurlanbek Kulmamatov, the head of the Emergency Situations Ministry in the Uzgen district, of which Ayuu is part, could not hide his frustration. “Why will they not understand? Twenty-four people died, 16 are still there,” he said. And yet, personnel at the Emergency Situations Ministry understand well why people are so reluctant to move. There are three main reasons: the unattractive value of financial compensation, the small plots on offer in alternative locations and the lack of pasture land in those proposed places. 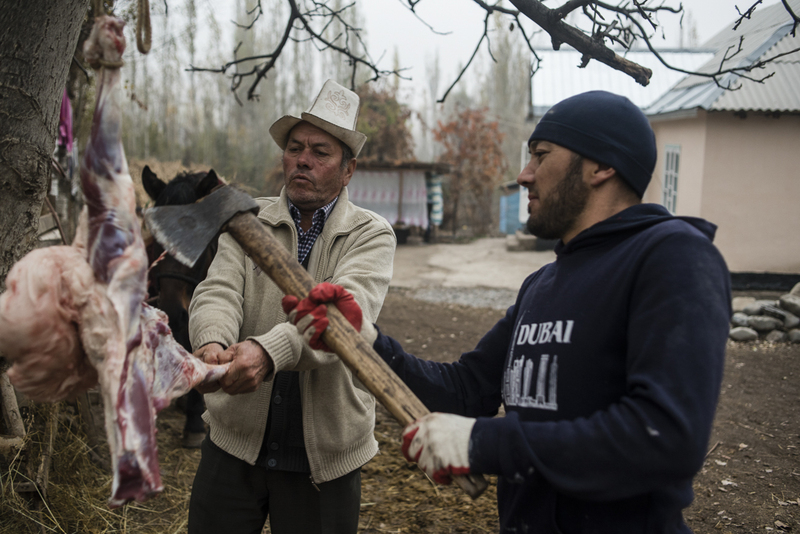 Everybody in the Sulaimanov family is somehow involved the business of tending to their livestock. When Eurasianet was visiting, Otabek, a young teenager and Azat’s eldest son, was busy running into the hills, deftly rounding up the sheep. One animal was led away for slaughter for a feast to celebrate Otabek’s circumcision, a ritual symbolizing his passage into manhood that had happened a few days earlier. The party was attended by Azat’s friends and provided an excuse for people attending to indulge in some drinking. In spite of the festive occasion, the household was wary and reluctant to have photos taken, suspecting that their visitor might really have been an official in disguise. In the morning, Otabek must leave home at 6 a.m. to walk to school. It is a long walk. Classes begin at 8. 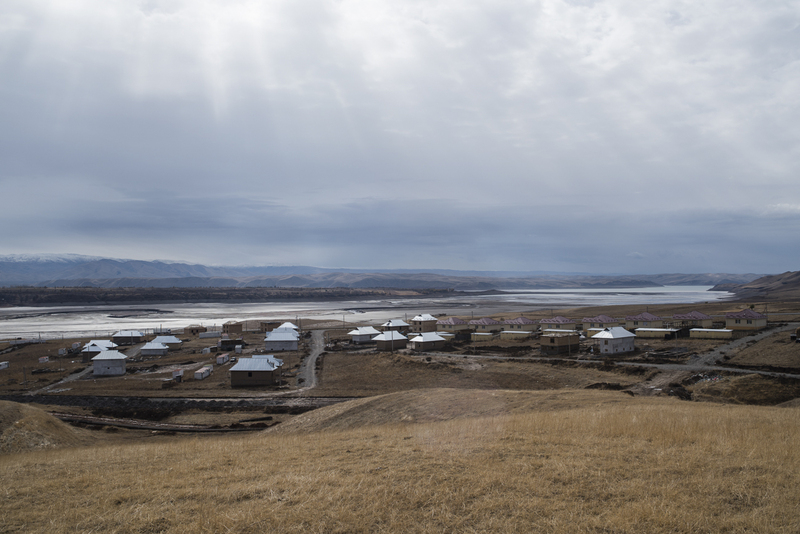 Ayuu used to have its own school, but it was closed over fears of future landslide. Life for those that left is no less arduous. 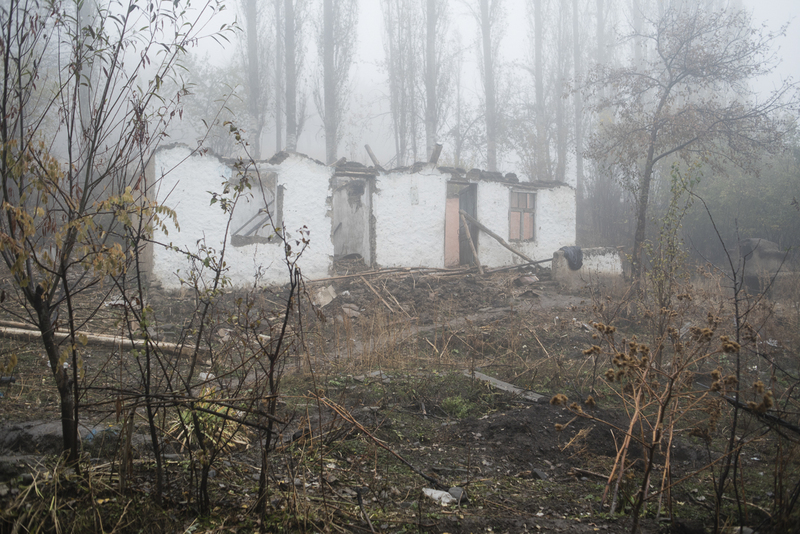 Opposite the Sulaimanov homestead there is a derelict house that once belonged to a woman called Zhamilya. The windows are smashed out and all that remains of the buildings are its bone-white walls. The roof was carted away for building material. 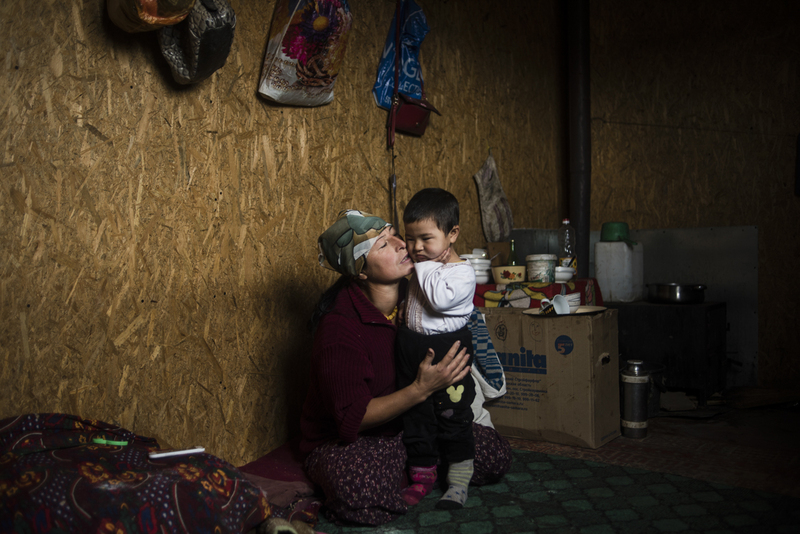 In August 2017, Zhamilya, her two children and three grandchildren agreed to move to a place more than an hour’s drive away, near the village of Ana-Kyzyl. There are a few handsomely built homes in this spot whose construction was funded by the government and charitable organizations. Families whose houses were destroyed in the landslide received those. Zhamilya’s family say the seven-year loan they got to build a new home was nowhere near enough. 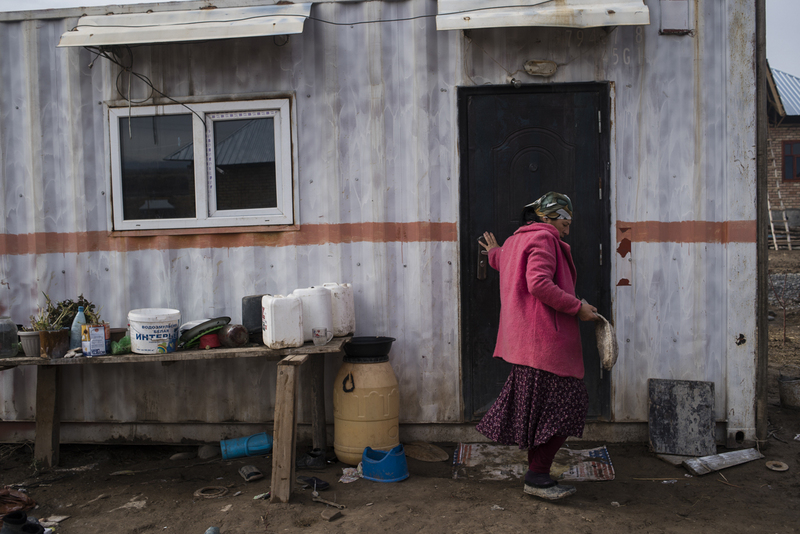 They are now living in a cargo container provided by the government. When a Eurasianet correspondent dropped in, Zhamilya was out with her livestock, in a distant location in the mountains. Her daughter, Anara, remains home to take care of the children, two of whom attend a school more than an hour’s walk away. Another child is not yet old enough for school. Zhamilya’s son, Bakhtiyar, is severely physically impaired by a condition he has had from birth and depends on meager state benefits. Officials are not entirely certain what to call this place earmarked especially to accommodate people being resettled. A representative of the Emergency Situations Ministry insisted it is called Ana-Kyzyl, although that is actually a little further along. One resident queried by Eurasianet scribbled the words Ak-Ko on a slip of paper when asked for the name. Either way, it is a not an especially appealing site. The village itself is barren and has no amenities to speak of. And the melancholy wind that whistles through never ceases. 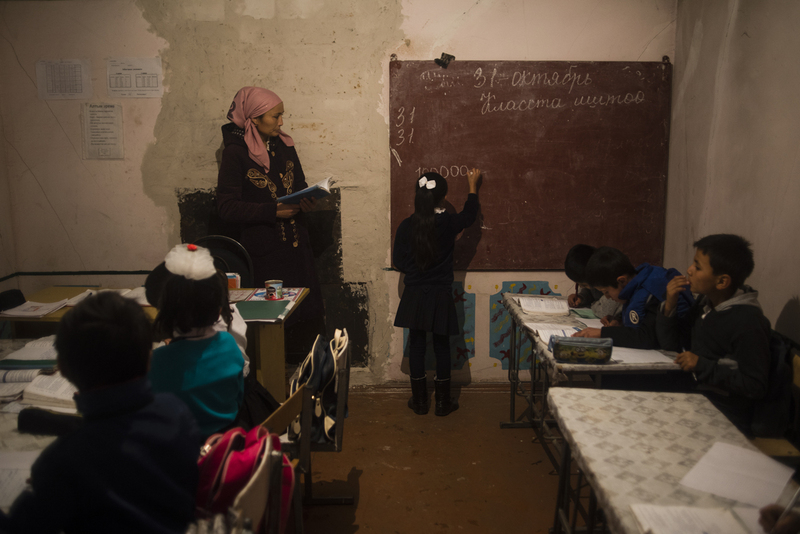 Danil Usmanov is a photographer and journalist based in Bishkek.